Thank you for all of you who responded to our previous letter. Your responses were very encouraging. In our previous letter, we asked you to start focusing on the biggest problem facing New Jersey, which is property tax. In this letter, we give you some suggestions on how to do it. High property tax affects everyone living in New Jersey. Whether owning or renting, every resident is affected by high property taxes. This is 100% of the population of New Jersey. We all agree that the biggest portion of property tax is the school tax, comprising 50% to 60% of property tax. This tax is dynamic in nature and ever increasing. Homeowners living on a limited, declining or even steady income, should not be supporting a system that has automatic annual increases year after year without taking into consideration the homeowner’s own income. How do you justify increasing taxes on someone whose own income didn’t go up, just to increase someone else’s income and benefits? You argue that it’s the value of the home that went up and the value is based on what the house would sell for. But people do not sell their homes every year to come up with that extra money to cover those extra taxes. That’s why schools with their salaries, benefits and pensions should be funded by the state through income tax and not by local homeowners through their homes. PS: We are not advocating cutting anyone’s salary or benefits. Just pay for them differently. An immediate freeze on all property taxes at the current level until our proposed reform or an equivalent one is enacted. We believe everyone should have a skin in the game. Reform property tax by December 31, 2016, by shifting part or all school tax out of property tax, in a revenue neutral way. Apply a two year freeze on the remaining taxes, followed by an annual hard cap on any future increases, equal to 2% or Consumer Price Index rate, whichever is lower. If you are unable or unwilling to act on this reform by December 31, 2016, we propose to let the people of New Jersey vote on the measure through referendum by June 30, 2017. This will let the people make their own decision, and you will be off the hook once and for all. How will the numbers work? 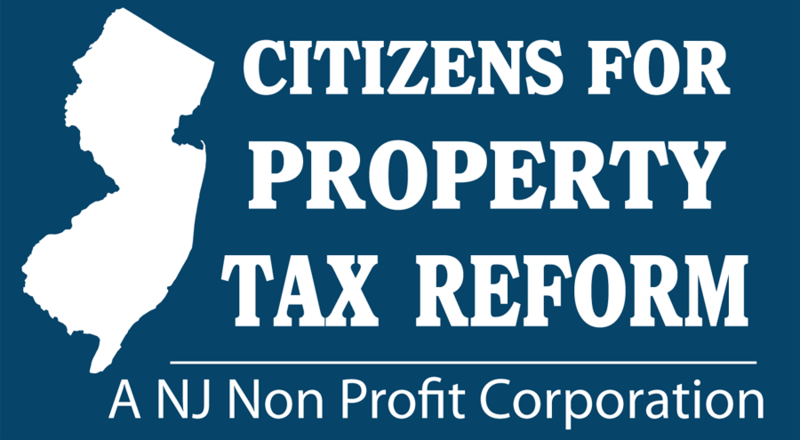 Start with the NJ State League of Municipalities study that shows that property taxes can be cut by 35% by shifting half of the school tax from property tax to income/sales tax with minimal impact on these taxes. That study was done by Mark Magyar, currently assistant to Mr. Sweeney, so it’s not hard to find Mr. Magyar to discuss his own study. We can also provide you with a copy of his report if you wish. It would be ideal to expand Mr. Magyar's study to include some cuts in government size and spending to be able to shift the whole school tax out of property tax, resulting in a 50% to 60% saving. But if that will take time to do, then applying Mr. Magyar's recommendations alone will be a very good accomplishment that can be enacted immediately. Please bear in mind that despite all your previous attempts to control property taxes in the past, your efforts have been a miserable failure, with the taxes increasing year after year with no end in sight. Some of you have been in Trenton for several years. You can no longer blame someone else for this failure: You own this failure. However, it’s not too late to correct the situation by enacting a reform this year and take the credit for it. This will make you heroes, will save our state from total financial collapse and will leave a better New Jersey for future generations. Remember, you were elected to lead, so be brave and lead. Do something that will benefit all New Jersey and stop kicking the can down the road. We appreciate your feedback in this matter and please contact me for further discussion.